"People Matter, Passion Inspires, Purpose Unites"
How long have you been in business / and in this location? - The company was founded in 1952, they have 31 branches from PA to SD. They were in Danville on Voorhees street for a number of years. 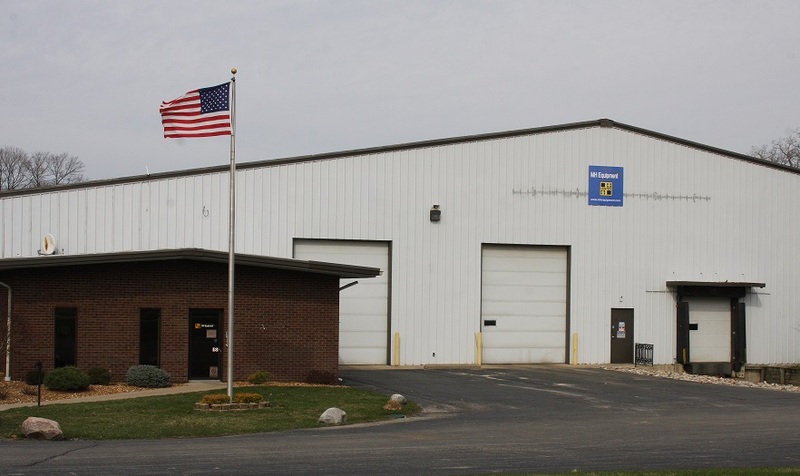 They outgrew their building in town and moved the the larger facility in Tilton in 2016. - They now have 21 techs, and a number of support personnel including three parts specialists, as well as various office staff. The territory the Tilton office covers runs from Charleston in the south up to Watseka and that area, and from Champaign well into Indiana. Although it may be obvious, what is your business? 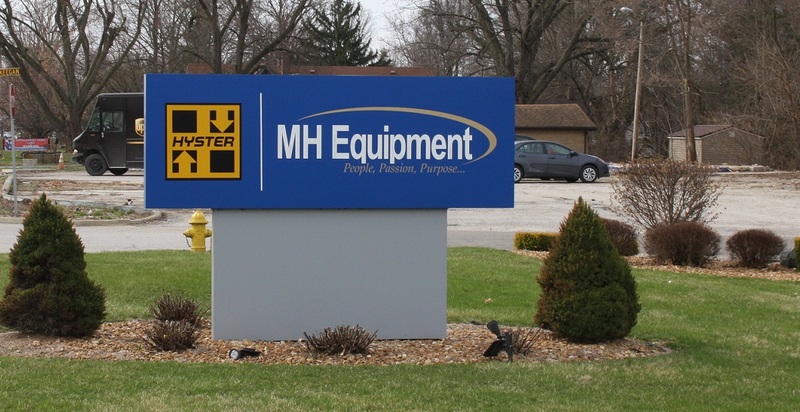 - They are a Hyster Forklift Dealership. As well as carrying products from JLG (boom lifts and the like), RICO (! explosion proof lift trucks ! 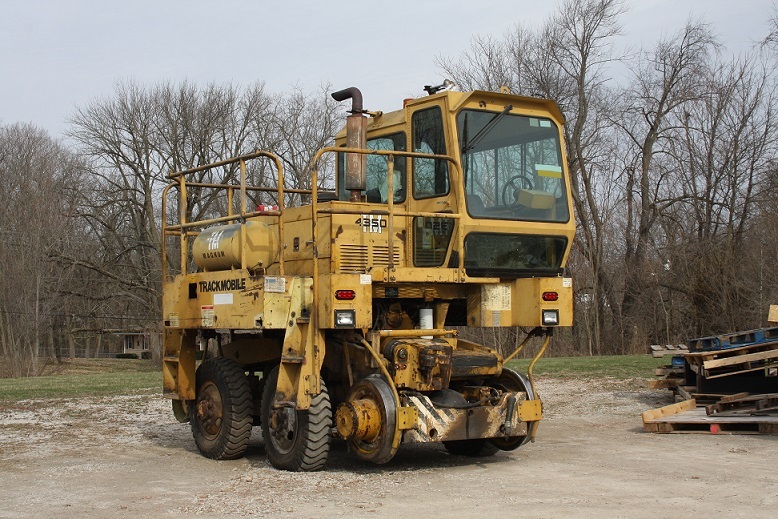 ), PowerBoss (those Big floor cleaners and related), Rail King (see photo below), and other parts and equipment. 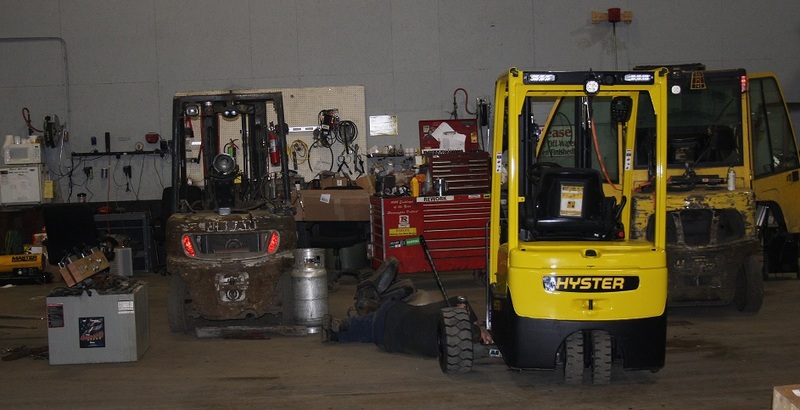 - They also service and maintain almost anything that moves, can get parts for just about everything, and do on site maintenance and service. What do you want people to know about this place? - They also sell racks and shelving, bins and cabinets, and other things that Don't Move. There's more in their catalog and on their website. What is the main advantage you see for being located here? - Great frontage on Rt 1. Easy access to 74. Tilton is VERY business-friendly. - They just brought a couple of new lines of equipment on board, including RICO, and CombiLift (heavy lift equipment). - They are currently looking to hire technicians. They do provide training and have worked with local schools and groups to recruit. Their main tool to find new talent is simply word of mouth. - And, as it turns out, they are also looking to hire a new Branch Manager because the old one... well, see below. Anything else you'd like to be on the website about your business. - "Great company to work for." Their "people matter, passion inspires, purpose unites" slogan is more than just a pretty phrase to put on the sign. It is how they operate from the top down. It is why, as you'll see in a moment, Ms Bailey has been with them forever, and even the lady behind the reception desk has been there for 13 years. They have a very low turnover rate because they take good care of their employees. The lady started at MH as a part time receptionist when she was fresh out of high school. A "few" years later, she is now their Regional Director of Operations, which means she is now overseeing their branches from Decatur to Ottawa in Illinois. And her territory also covers the Springfield and Peoria metropolitan areas. That's a lot of forklifts! And scissor lifts, and other things. Oh, by the way, out of all 31 branches in ten states, Ms Bailey is their first ever female Regional Director. 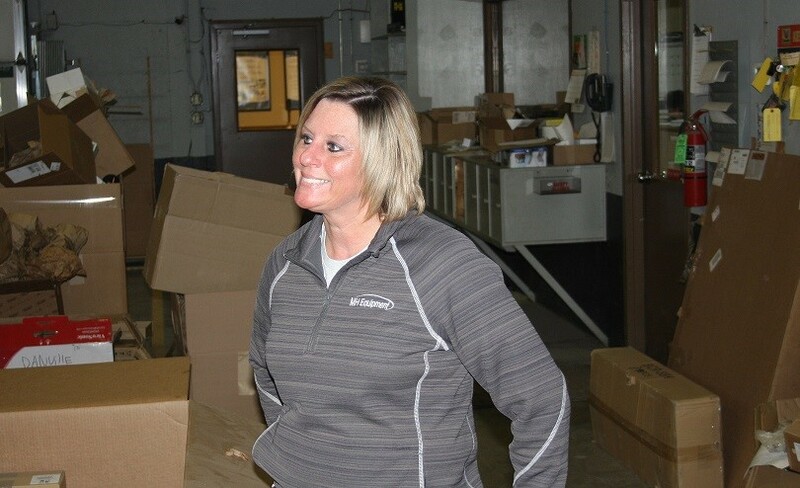 She was also the company's first lady Service Manager. And their First Branch Manager... and she's not done yet. As she pointed out, there are not a lot of women in the field of industrial material handling equipment. It is a very specialized, almost a niche, field. But, as can be seen and heard when you talk to her, the lady knows her work, and has, well, OK, she has a Fire for it. That 'passion' on the sign out front is in her, and evidently, the bosses at the corporate office have seen it, and have rewarded her for it over the years. They have allowed, and even encouraged her to grow, and in doing so, the company itself has grown in that, and other ways. The good news is that she is going to keep Tilton as her "home base" and cover the other locations from here. Yes, it means spending a lot of time looking at Interstate Highways when she goes to the office in Peoria or Ottawa and the others, but, this is home. Some of the units that had to come in for service. As you can see, they work on new, and OLD ones. It's a railcar mover. And it is the only one the Desk has ever taken a picture of. One of their fleet of mobile units that make service calls on just about anything. Hours: Office: 8 - 4 or by appointment.